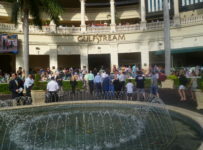 A Rainbow 6 carryover that could soon pass $1 million and five graded stakes races are the main attractions for bettors and other fans at Gulfstream Park this weekend. 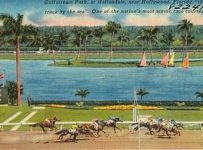 The Rainbow 6 carryover for Friday is $976,699. 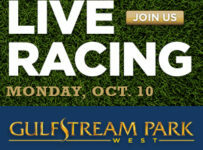 First post is 12:00 p.m. for an 11-race card. 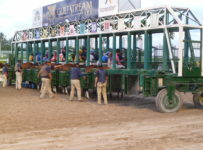 The Rainbow 6 is on races six to eleven with the sequence scheduled to begin at 2:37 p.m.
On the first race there is a Super Hi-5 carryover of $6,172. 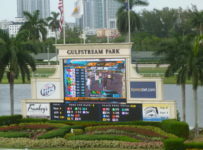 We will have coverage of Friday’s Gulfstream racing on our blog, which can be accessed on the menu bar at the top of the home page of this Web site. 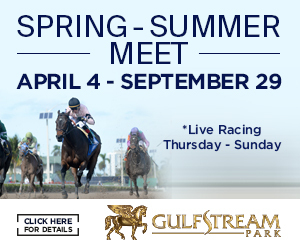 Gulfstream will have three graded stakes races this Saturday and two graded stakes races this Sunday. 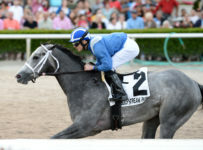 The highlight will be Saturday’s $350,000 Holy Bull Grade (2) at 1 1/16 miles on dirt for 3-year-olds. 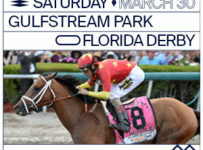 It is a points scoring race for spots in the Kentucky Derby (Grade 1) that will be run May 4 at Churchill Downs in Louisville, Ky.
Later on Friday and on Saturday, we will have previews of the Holy Bull and of Gulfsteam’s four other weekend stakes. 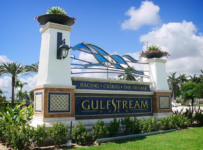 On Saturday, Gulfstream will also have the $150,000 Swale (Grade 3) at seven furlongs on dirt for 3-year-olds and the $150,000 Forward Gal (Grade 3) at seven furlongs on dirt for 3-year-old fillies. 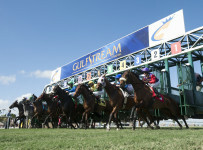 Gulfstream’s original schedule had two other stakes races scheduled for this Saturday. 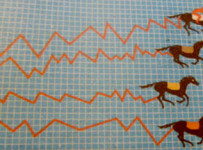 It has moved them to this Sunday. 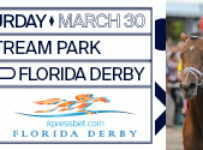 Those races are the $100,000 Sweetest Chant (Grade 3) at one mile on turf for 3-year-old fillies and the $100,000 Dania Beach (Grade 3) at one mile on turf for 3-year-olds. 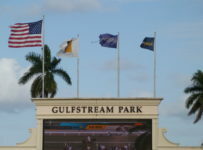 Gulfstream officials said they made the change because the weather forecast calls for a greater chance of rain on Saturday than on Sunday. 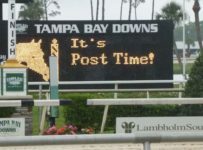 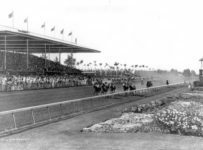 Pushing the Sweetest Chant and the Dania Beach back a day could increase the chances that the races will be tun on a course that is listed as Firm or Good, rather than Yielding.